This is one you really have to see in person to appreciate how beautiful it is. Graceful dress with ivory lace and ecru satin. 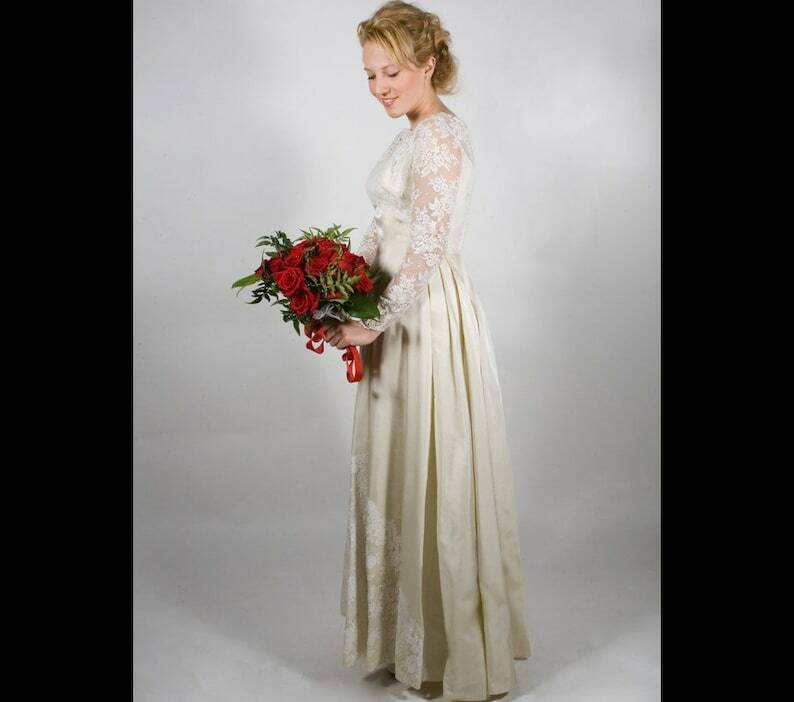 Delicate lace, looks to be hand made, neckline and long, lace sleeves. The undefined waist gives it a long, willowy appearance. No flaws noted. Professionally dry cleaned. Perfect bridal gown for your important day. From neck to waist: 13"
Shoulder seam to shoulder seam: 15"